While I will indeed get to the oversized subterranean smug Eulipotyphla powerhouses at some point, and will finish the pokey Head and Seedy Pod sprites I was working on, I took some time to make an old classic. Fighter Fly! Based off of that unused Mario Power Tennis model (https://www.mariowiki.com/images/d/d2/MPTFighterFly.png), and edited heavily from the Super Mario All-Stars sprites (https://www.mariowiki.com/images/b/b1/MBSNES_Fighter_Fly.png), by which I mean "I edited the originals heavily, cropped them to the head, edited it more, then drew a new body myself." I also added some spikes on top since they can't be jumped on in arcade Mario Bros. The animation is made up of 43 total frames, with there being 24 unique frames. Sorry the top is so uncompressed, I wasn't sure how high it would go at the outset of making this. Anyways, try to imagine it jumping forwards, instead of straight up. I've had a lot of Programming homework to catch up on while I attempt to scramble out for the (currently underway) Spring Break, so no big update this time, as I haven't had much time to finish things I've started. I plan to perhaps get some Mario Clash things up, but for now, have this. Don't recognize it? It's my rendition of the Wire Spark/Wire Trap from the Game Boy Donkey Kong as well as Super Mario Sunshine. And quite small. Earlier versions of these sprites looked even more like regular Sparks, having the red mask thing around the eyes and such, but it kept overlapping with the spikes so I changed it to make the spikes appear to be on rotating plates. I figured out how to animate quicker! Now this looks as I intended. Spring Break was all right, aside from having to stay at the school for part of it to finish work, getting a migraine headache, and being made to take my brother to what is perhaps the most cliche film I've ever seen. At least we finished the main story of Odyssey now! I let him watch, collected all but like 5 of the moons as they became available, never used Hint Toad once. 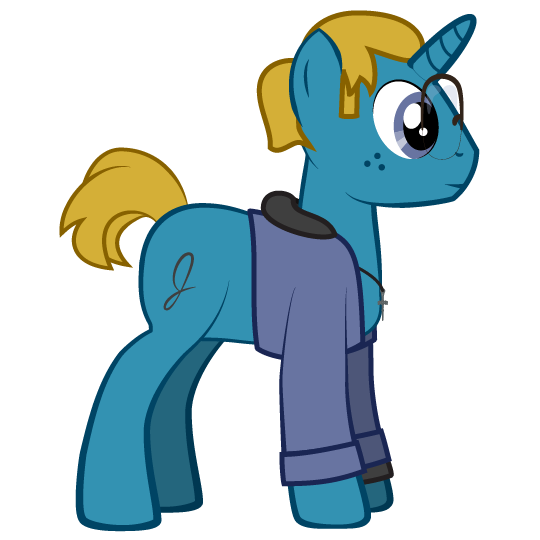 Anyways, regarding animated things, I have this to show. Remember the Rotating Blocks from Super Mario World? Anyways, I have them start out as a thick block, and as it rotates, it quickly shrinks into a panel, before retracting back outwards as it comes to a stop. I also gave them bigger eyes because I think it looks better. Now aside from that, I have a bunch of random stuff in various stages of incomplete, as well as some parts of previously-animated things that couldn't be part of the animations, primarily turning sprites. And before I forget, comments are appreciated, just by the way. Back again, finally. School had finals, then I worked to finish Odyssey, then finally started Pokemon Moon, and am now on vacation to Yellowstone....anyways, a lot of distractions. The moles I made months ago, but hadn't posted do to the fact that I never finished the feet and arms. I made the Mega Mole via my own design by drawing it from scratch based upon parameters made by comparing the size my Monty Mole sprite with the SMW one. The Mega Monty Mole is simply a doctored x2 size version of my Monty Mole, and the Morty Mole is heavily-edited from it. Also of note is that my Piranha Plants are about the same size as the original Piranhacus Giganticus! This is because I based it off of its current official artwork relative to the pipe size in said art. There's also a.....started version of Hootie the Blue Fish and Bungee Piranha. There's also some Shellcreeper heads....Mario Clash can really come in handy! I managed to animate my renditions of the classic arcade barrels, but that's all. Blue Barrel side I haven't yet due to my own laziness and the fact that I haven't been able to use my computer much due to being in the park most of the day. No Need for these Burts to be bashful! I also have some P-Switches I forgot to show in the last dump update, I suppose I might show them at a later point. Working on Scaredy Rat as well right now. 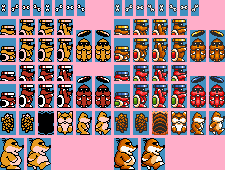 These actually are, in fact, edits of the original Burt sprites, but it's somewhat hard to tell. This took me about two days of on-and-off working. It's a better animation than the Buster Beetle one, since I put all the frames in one Paint.net doc to figure out where they should go before I separated them. On an unrelated note, check out the JGS Music remakes for several Donkey Kong Country series songs, BrawlBRSTMs3 uploaded several extended versions of them, and they are amazing. Their version of Northern Hemispheres in particular is just haunting. Greetings, fellows, and welcome to our expedition to the mysterious habitat of Kamek's Library! 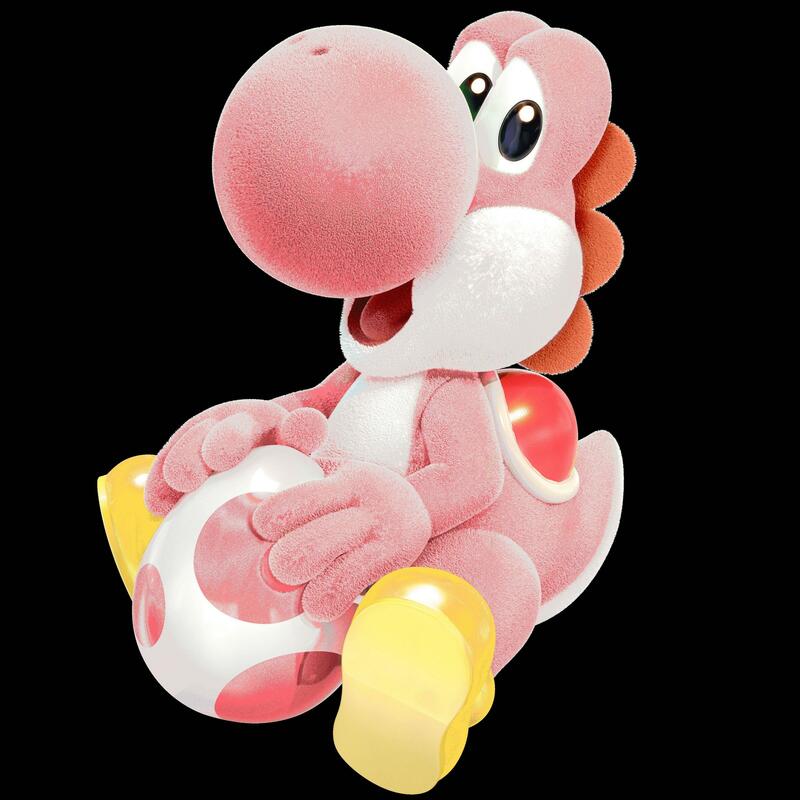 As we can see here, the wild apprentice Magikoopa, or "Toady," is capable of unfurling or withdrawing its propeller at a moment's notice, for either escaping danger, catching prey, or simply putting late-returned books back on the higher shelves. The cardinal red Toady typically travels in groups of four, yet here, we only see one. Where could the others be? 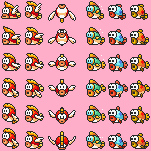 Edited from SMW2 Kamek sprite. Also have a Kamek/Magikoopa one in the works, but the arms are hard to figure out. The Baby Mario is just an unused animation from SMW2. Yes I am tired, why do you ask? 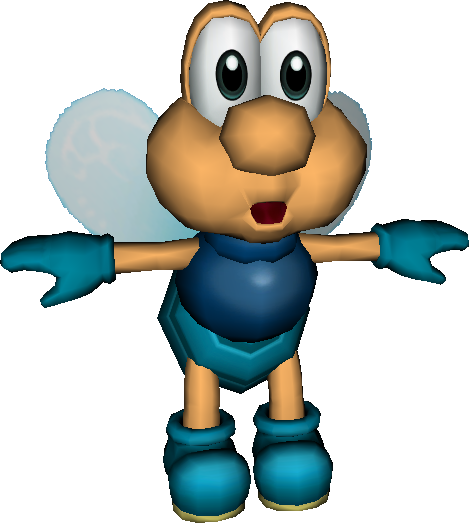 You should make a Dizzy Dandy sometime, those were like my favorite enemies in Yoshi's Island. Now you may be wondering why it's been a while since my last update. There are a number of reasons, including homework, artist's block, and trying to play some games (as well as ripping sprites from Donkey Kong Land). Another reason is I was tired of most of my fish still having only two frames. Cheep Cheeps are very versatile, so this is still not even close to done. Still need a few more types of jumps, and alternate swimming directions for ones like Deep Cheep. And I still need to redraw Spiny Cheep Cheep, as the last one's spine position looked odd. Check out the sudden pompadour in the flopping sprites, though! I had to resist bursting out laughing like a maniac. These are awesome! Have you tried any Yoshi sprites? EDIT: Also, if you have a full sheet, you should put these on the Spriter's Resource. I think I've seen you around on there. Have you tried any Yoshi sprites? I'm currently focusing on enemies with a few items and objects thrown into the mix; playable characters take a lot more work as they're the most versatile in a grand majority of cases. I'll get there eventually, hopefully. Did that before with the 2-framers, I just didn't want to clog up space on this sheet, so I only went with the more unique edits for now. I wanted to use a different coloration for each behavior (like all the varieties of jumping), but I think I might run out of colors first. In general, or are you indicating mine specifically? These follow proper tile size and palette flexibilty parameters from the originals, so they could potentially be modded into them. Wasn't a fan of how SMM handled these. I've been feverishly perfecting these for the past 3.5 hours or so, though I had worked on giving the Rocky Wrench a slightly-different full body before. There, added best type, using Sledge Bro. parameters. Will probably submit this to TSR as a standalone. Let it never be said that a Mega Mole cannot be made from an SMB3 Rocky Wrench. Hey look, a bunch of Monty Moles!! !